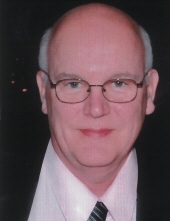 Age 63, of Baldwin, formerly of Northside Pittsburgh, PA, passed away peacefully, at home, surrounded by family, on April 13, 2019. He was a Navy Veteran of 26 years and worked for Alcoa/Arconic for 31 years. Gary enjoyed fishing, hunting and participating in youth hockey. Gary is survived by his beloved wife of 31 years, Doris (Wainwright) Schaper, children Linda (Mathew) Mckee, Richard Barkley III, and Karen (Michael) Hritz, grandchildren Tyrik Barkley, Christian and Shawn Hritz, mother in law Betty Lou Wainwright, siblings Robert (Judy) Schaper Jr., Sandra Shamonsky, sister in law Beth Schaper, and as well as many nieces, nephews, and friends.He was preceded in death by his parents Robert Sr. and Dolores Schaper, and brother Jeffrey Schaper. Visitation will be held on Wednesday, April 17, 2019, 3:00 pm - 6:00 pm and a Blessing and Military Service will follow at the JEFFERSON MEMORIAL FUNERAL HOME, INC., 301 Curry Hollow Rd., Pleasant Hills, 15236. Condolences may be left at www.jeffersonmemorial.biz. To send flowers or a remembrance gift to the family of Gary A. Schaper, please visit our Tribute Store. Military Services will take place at this time. "Email Address" would like to share the life celebration of Gary A. Schaper. Click on the "link" to go to share a favorite memory or leave a condolence message for the family.